Hailed by the Minneapolis Star Tribune as “singing impeccably, making even the most complex harmonies sound transparent” and performing with “consummate professionalism,” the VocalEssence Chorus is an exceptional group of talented, committed singers from many walks of life. Equally at ease sharing the stage with famous guest artists such as Dessa and Sweet Honey In The Rock and budding young singers from across the metro, the VocalEssence Chorus embodies the tagline Together We Sing. 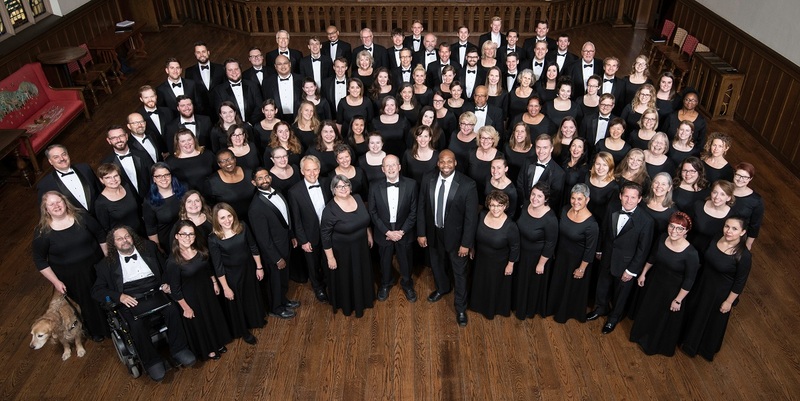 Directed by VocalEssence Artistic Director and Founder Philip Brunelle and Associate Conductor G. Phillip Shoultz III, this 110-voice chorus sings everything from Bach to Bluegrass, debuting more than 250 commissions and world premieres since the organization’s inception in 1969. The VocalEssence Chorus performs separately and in tandem with the VocalEssence Ensemble Singers, gracing the stage of prestigious venues such as Orchestra Hall, The Ordway, the Basilica of Saint Mary, and the Cathedral of Saint Paul. VocalEssence Chorus auditions are held every spring, and returning members of the Chorus re-audition every two years. For more information on VocalEssence auditions, click here.